That was horrible.....so so glad she is okay?! Is the jockey okay? Yes a miracle so thankful! How is she doing now? How did Bright Emblem do? Bright Emblem ran well but finished in an unlucky seventh in the G1 Kikuka Sho. 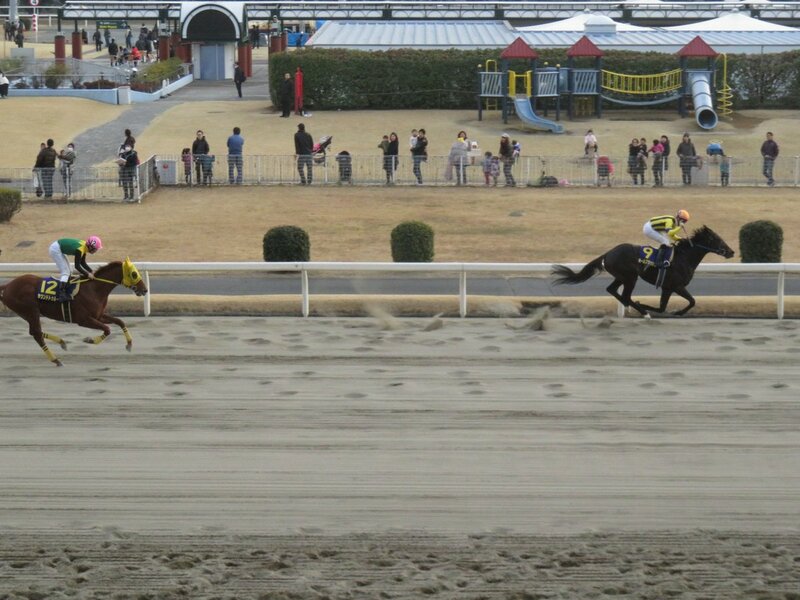 His jockey almost fell as he was checked by other horse at the final turn. Last edited by tachyon on Fri Nov 06, 2015 1:39 pm, edited 1 time in total. It sounds like Civil War got some good number of mares despite of his late arrival to stud this year. But I'm waiting for the confirmation. Civil War covered 62 mares in his first season at stud. He had arrived at Breeders Stallion Station in late March. Robe Tissage(JPN) has now been retired from racing. She will be a broodmare at Northern Farm where she was born. Black Emblem has been bred to Victoire Pisa this year. Civil War was born in 2005. He is by War Emblem out of Ticket To Dance by Sadler's Wells. Civil War is the first and only stallion by the Grade 1 Kentucky Derby and the Grade 1 Preakness Stakes winner War Emblem. He was a successful performer on dirt and captured five Jpn races on dirt in NAR including Nagoya Grand Prix and Breeders' Gold Cup (twice). Civil War entered stud in Japan in 2015. Hi Tachyon, thanks so much for the update and video of Civil War!!! I am happy to see him and sure hope he is happy in his new career. I wish War Emblem had had a longer racing career before retiring to stud like Civil War. I am so happy he has at least this one son at stud and really hope he does well. I hope some day one of War Emblem's descendants make it to the USA. Do you know if any were successful in Australia (or another country)? How is Robe Tissage? Who was she bred to? I hope Bright Emblem is doing well. Thanks again Tachyon for providing such wonderful information on War Emblem and his family! His 3rd dam Only Royale(IRE) is a highweighted, multiple G1 winner in Europe.